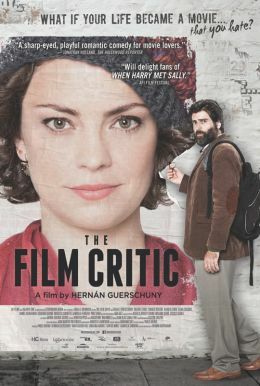 A playful yet heartfelt take on the rom-com genre, THE FILM CRITIC follows Victor Tellez, a world-weary Buenos Aires film critic who prefers to think in French and eschews romantic clichés... until he finds himself living one. Riddled with ennui and the maladie du cinema, Tellez drifts from screening to screening in search of cinematic perfection, casting judgment on filmmakers and their films with scathing incisiveness. But when a chance meeting throws him into the jarring world of gorgeous thrill-seeker Sofia (Dolores Fonzi), he starts to question his meticulous, intellectual routine and realizes there’s more to his story than he ever dreamed.